As a boy growing up, I scoured every bird book I could get my hands on. 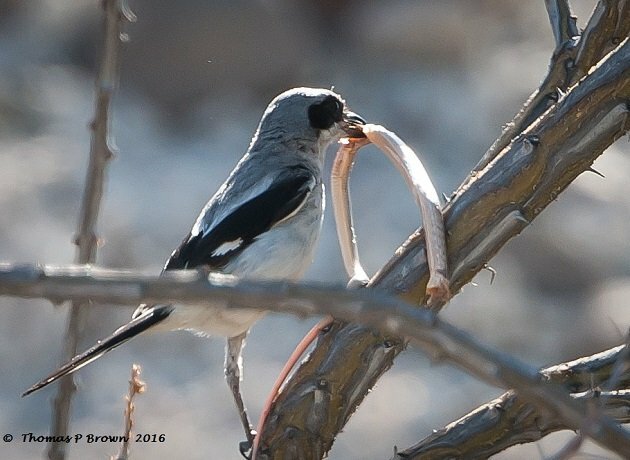 In each of them, I was always fascinated with the shrikes. I guess it is that gruesome boyhood interest in any bird that would use thorns and barbwire to impale its prey on. Years went by, and I had still not been able to track down a real live shrike to add to my list. In 2011, my wife and I sailed into a beautiful little anchorage here in the Sea of Cortez, on Isla Espritu Santos. Out exploring in the dinghy, I got to see my first shrike, a Loggerhead Shrike. There it sat, on the top of a Cordon Cactus, obviously looking for its next prey. Childhood memories flooded back in, and I began my search for the poor victims of this bird, so lovingly nicknamed “The Butcher Bird”. Nothing was found, not a grasshopper, lizard, nothing. Sometimes reality is so unfair! 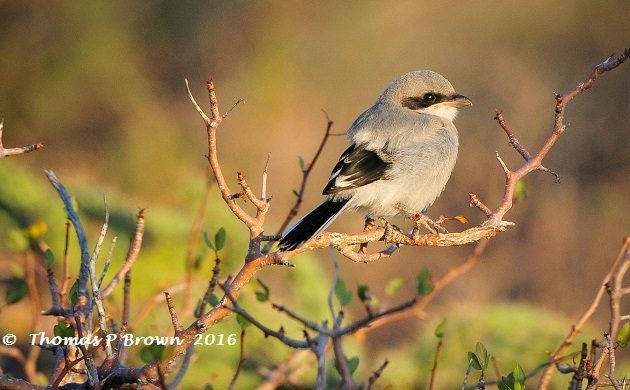 Now with several years of exploring the California Baja Sur, I have come to expect to see shrikes on nearly every of my routes and guided trips. And yes, I have even seen a few left over morsels hanging around a thorn bush or two. These fiercely territorial birds. while showing diminishing numbers in the north and northeastern part of the US and Canada, are quite abundant down here. 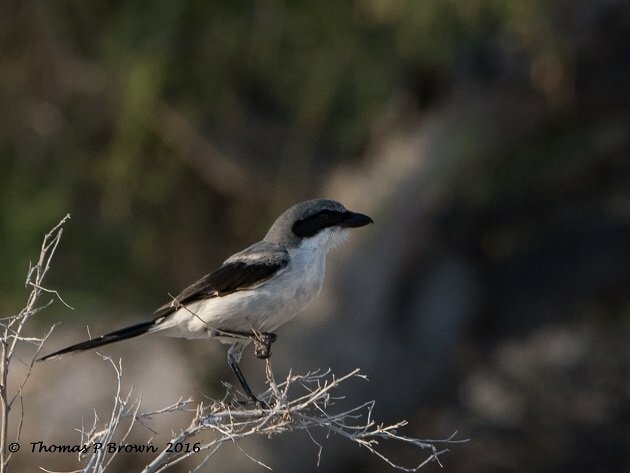 Shrikes by the numbers: The family Laniidae is composed of 31 species of shrike, around the globe. 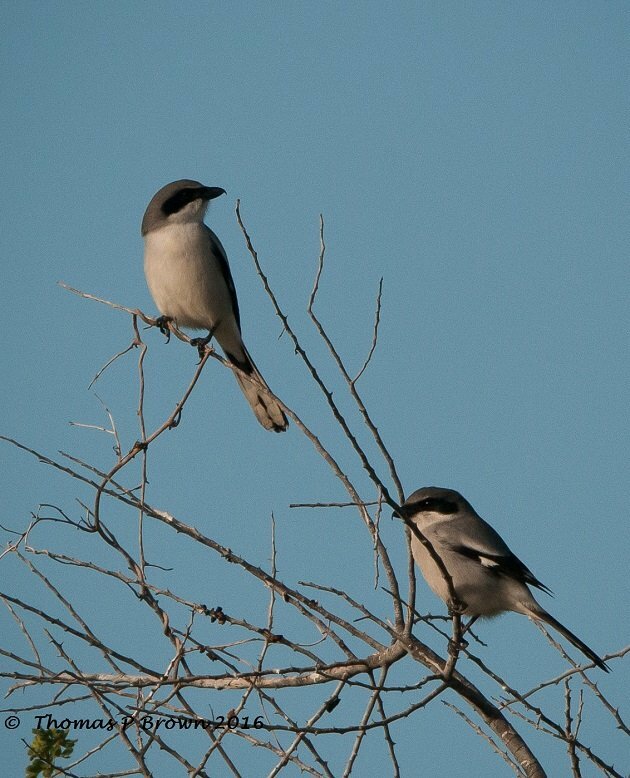 The most common species here in North America is the Loggerhead Shrike, Laniidae ludovicianus which has 11 subspecies. Of those eleven, two, the L.i. Migrans and L.i. Mearnsi are both considered critically endangered. The Loggerheads that I commonly see here in this area are the subspecies L.i. nelsoni. 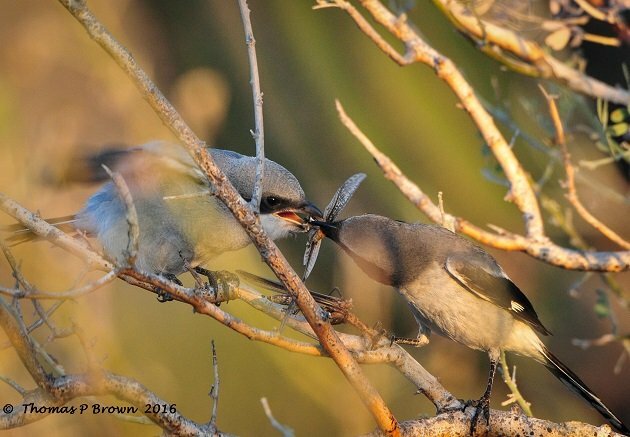 Each nesting pair will have 4-8 eggs, and there is some reference to location being a factor on that quantity. 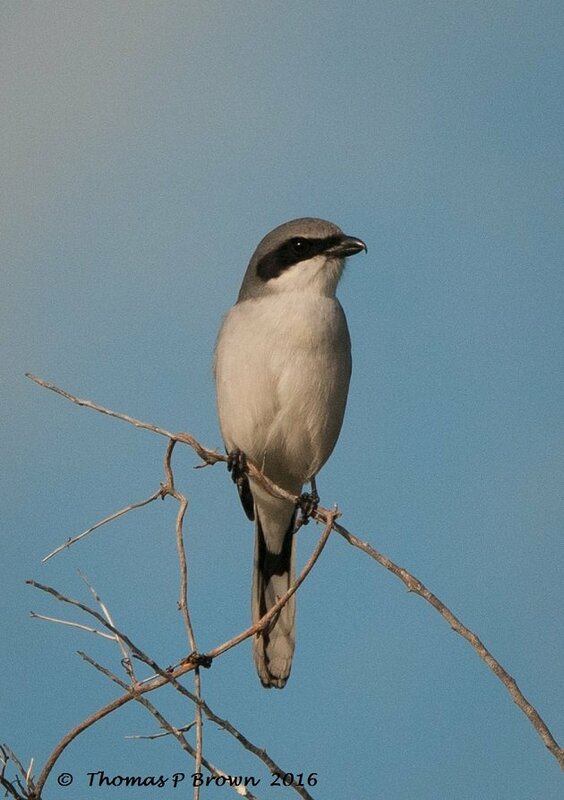 The Loggerhead Shrike is 9 inches over all, and the largest of the shrike family is 20 inches. Here is a local parent, bring in a nice big grasshopper to one of the babies. After a bit of size reduction, dinner is served. This small snake fell prey to a Loggerhead. This picture shows the much darker head and back than the juvenile birds, like the first bird featured at the start of this story. 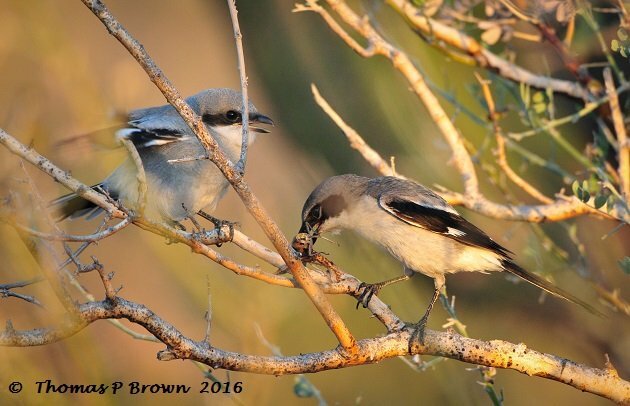 Very cool birds, nice to hear about you finally catching up with them after all those years.